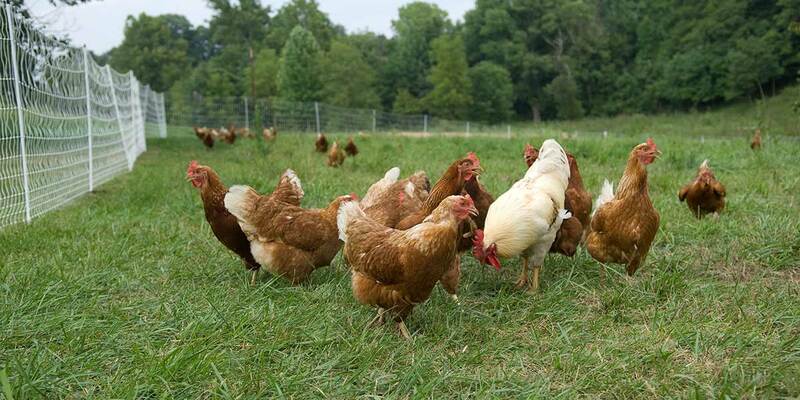 The majority of the time, chickens are not given the respect they deserve as animals. Why? It might be because most people don’t realize how truly fascinating and intelligent these animals really are! 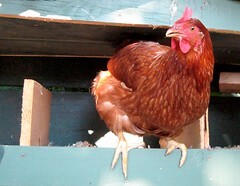 Interested in learning more about what makes chickens so darn cool? Read on to find out! Unlike a great deal of animals, chickens actually have full-color vision. Because of this, they can distinguish between different surroundings and can communicate better with their offspring as well as any other species they come in contact with. Pretty cool, right? Thought REM (rapid eye movement) sleep was just for humans? Think again! 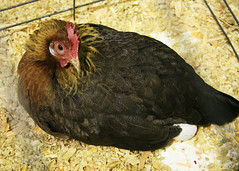 Chickens similarly experience REM sleep, which means they have dreams just like humans do. I wonder if they’ve ever dreamed about crossing the road! Hens specifically are very protective of their babies, which is why they show extreme confidence in defending their young from any predators that approach them. Just when you thought calling someone a “chicken” meant they were afraid of something, turns out it might actually be a compliment! Just like a mother with her babies, chickens also talk to their off spring, even when they’re still in the womb. 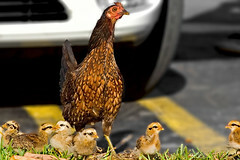 In fact, a mother hen begins teaching her baby chicks different calls before they even hatch! How cute is that? 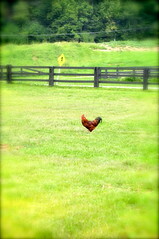 Get this – chickens LOVE to play! 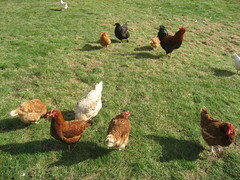 When they’re given enough space to roam, chickens will jump, run, spa and even soak up the sun! What’s really sad is that only a small percentage of chickens are raised in the United States with the ability to roam any land at all, while most spend their entire lives in tiny cages, usually no larger than the size of an iPad. Did you think chickens were pretty dumb up until this point? If so, you are sadly mistaken. According to recent studies, chickens are actually very intelligent animals with a variety of attributes similar to that of their primates. From the ability to solve complex problems to demonstrating self control and worrying about the future, chickens are much brighter than they’re given credit for. As humans, we have the ability to remember and store memories in a variety of ways. 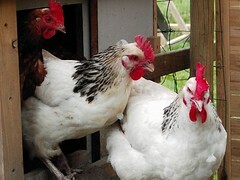 What many people don’t know is that chickens have the ability to recognize and memorize as well! While still not on the same level as humans, chickens are able to recognize and remember more than 100 different individuals, including humans. As children develop, they begin to develop object permanence. Well guess what? Chickens have this ability as well. Even when an object is taken away from them or hidden, they’re able to comprehend the fact that the object still exists, which is something that many animals don’t have the ability to do. Did you know that chickens are living dinosaurs? That’s right – research has proven that not only have chickens evolved from dinosaurs, but they are currently the closest living relative to the T. Rex, one of the most popular dinosaurs in history.